Want to know a working solution to fix “kernel security check failure” error?. Then, you’re at right place, read complete article to get to know. Kernal_security_check_failure error prevents user to access Windows. For some users, this BSOD error coming randomly after system gets the start. And, for other users, the error occurs instantly after turning on the system. This error is related to kernel. If you don’t know what kernel is in Computer?. – Kernel is basically a small Computer program, that is the core of the operating system. It gets loaded after the bootloader. After that, handles startup, and input/output request by software. Also handles memory and USB/Peripheral devices. Overall, it controls everything. That’s why there isn’t any specific solution to fix this kernel error. Common Causes behind “windows 10 kernel_security_check_failure” Error. Outdated, Incompatible and Corrupted Drivers. Third-Party antivirus or security program or due to virus attack. Corrupted or Damaged HDD or SSD. 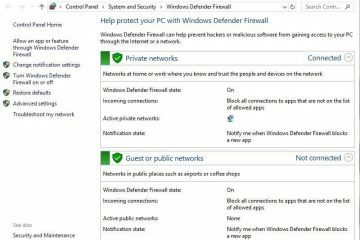 1 Fix kernel security check failure Windows 10. 1.1 Solution 1: Disconnect all USB and Peripheral Devices. 1.2 Solution 2: Boot Windows in Safe Mode. 1.4 Solution 4: Update Driver Software. 1.5 Solution: 5 Use Driver Verifier. 1.6 Solution 6: Perform an SFC Scan. 1.7 Solution 7: Run DISM Scan. 1.8 Solution 8: Use the Memory Diagnostic Tool. 1.9 Solution 9: Perform a Clean Boot. 1.10 Solution 10: Check Error log using event viewer. 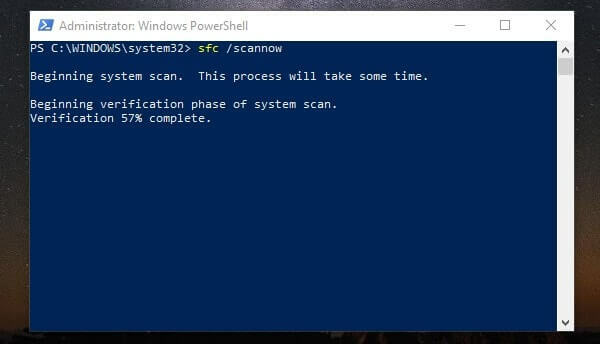 Fix kernel security check failure Windows 10. Solution 1: Disconnect all USB and Peripheral Devices. Sometimes problems are too small, we make complicated. It could be possible, that, due to some faulty device kernel is producing this error. First, Shut Down Computer Completly. If the problem was with any connected hardware, then the error will get resolved immediately. And, if the error still occurring, then try next solution. Have you recently upgraded RAM, or installed SSD instead of HDD. Then, you need to remove it. And, check it on another Computer that it is working fine or not. Uninstall Recently Installed Security Software. Also, if you have installed any third party antivirus program. Then first uninstall it. Or, if you have made any changes in the system. Then, undo those changes. To Uninstall a Windows Program. – Press Windows + R key, type appwiz.cpl, and press enter. Here you can uninstall any program by right click on it. Solution 2: Boot Windows in Safe Mode. If “kernel security check failure” error coming after Windows boot animation. And, you’re unable to access Windows. Then, you need to boot your Computer in safe mode. After that, you will able to, try out the next solutions. Safe mode is also known as Diagnostic Mode of Windows OS. It only allows essential system program and services. That’s why, this kernel error, will not occur in safe mode. There are multiple ways to boot Windows into Safe Mode. If you’re using Windows 7, then by pressing F8 just before windows get the load. You can enter into Advanced Boot options. And, from there, you can choose the Safe Mode option. But, if you’re using Windows 10 OS, then, the process to enter into safe mode is different. If you can’t able to open Windows. Then from a recovery drive, you can access Safe mode. If the error is coming after a few minutes of startup. Then, press Windows + R key simultaneously, type msconfig and press enter. In System Configuration Window, Click on boot tab. Now, mark Safe mode option and select the minimal radio button. After that, click on OK. Then, A popup might appear, click on restart. That’s it. now the system will boot into safe mode. In safe mode, the error will not occur. Note: To exit from safe mode. You need to follow the same process. And, you need to unmark safe mode option. It could possible that you’re using an older version of Windows. Which isn’t compatible with the hardware that you’re using. 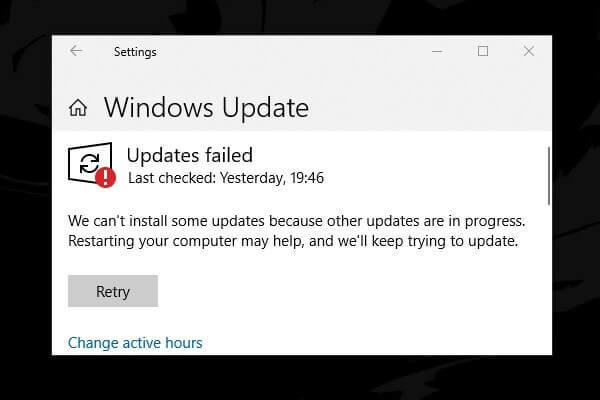 Or, maybe there was a Windows Security Update available, that wasn’t installed properly. To check for Windows Update, Press Windows + I key to open settings App in Windows 10. Click on “Update & Security”. Here you can check for Windows Update. Solution 4: Update Driver Software. This is the most common solution “Kernel Security Check Failure Windows 10” error. And, suggested by many tech forums. And, in 90% cases BSOD error occurs due to the driver issue. So, I suggest you update the outdated driver. You can update driver software using the device manager. 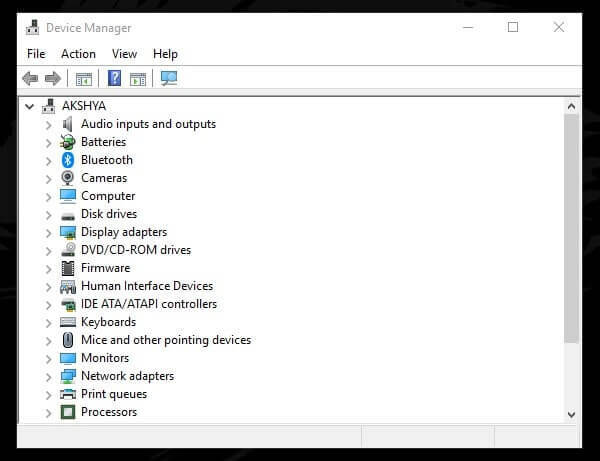 To open device manager in Windows 10, press Windows + X key. And, from the menu, click on “Device Manager”. Also, if you’re not able to find out culprit device from device manager. Then, you can use some third-party driver updater software. Solution: 5 Use Driver Verifier. Driver Verifier is an inbuilt tool by Microsoft. It does monitor kernel mode and graphics drivers. And, detect illegal function and call, that are corrupting the system. To open “driver verifier manager”, click on start button. Search for “verifier” and press enter. Select “Create Standard Settings” and click on next. 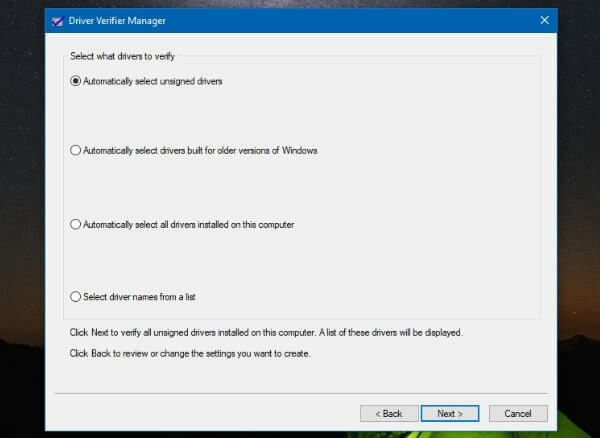 Choose “Automatically Select All Driver Installed on the Computer” option. That’s it. Now Computer will restart to test all drivers. You can check more information about driver verifier from Microsoft documentation. Solution 6: Perform an SFC Scan. System File Scanner is known as SFC. It does scan all protected system files. And, does replace corrupted system files with a cached copy of Windows files. So, if “Windows 10 kernel_security_check_failure” error is coming due to missing or corrupted system files. Then, it can be easily get fixed after performing the SFC Scan. The process will take time to get Complete. Do not close the Window until the process is running. Solution 7: Run DISM Scan. Deployment Image Servicing and Management is known as DISM. And, DISM can fix things that SFC Scan can’t. When Windows Services and updates get failed to install and system files get corrupted. Then, Both these scan comes in handy. If SFC Scan wasn’t able to fix “kernel security check failure” error. Then, DISM tool maybe can. So, give it try. Open Command Prompt (Admin) or Windows PowerShell (Admin). After that, give the following command to run the DISM tool. And, press enter. That’s it. wait for the process to get complete. Solution 8: Use the Memory Diagnostic Tool. Windows Memory Diagnostic Tool is a free RAM testing tool. It’s a basic test, in which BIOS of your Computer will test RAM Stick. So, If the problem is from the hardware part, then, it might get resolved. 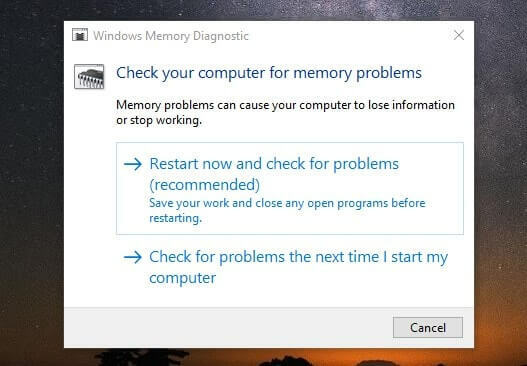 Click on start button and search for “Windows Memory Diagnostic”. 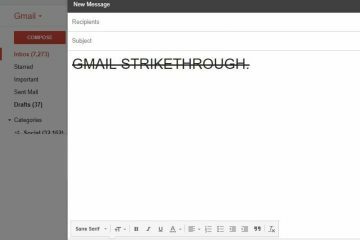 After that press Enter to open WMD. A Window will appear now, click on “Restart now and check for problems”. That’s it. Windows will get restarted. And, the test will be started automatically. This tool contains many extended tests to perform. But none of those test required for standard memory test. Solution 9: Perform a Clean Boot. If you think this error is occurring when you launch a specific software. And, you have already uninstalled it. Then, I suggest you perform a clean boot. The clean boot does start Windows with a minimal set of drivers and programs. It is also a well-known troubleshooting technique. Which helps you to find out which normal process is causing “Kernel Security Check Failure” error. 1. First, to open system configuration Window, Press Windows + R key type “msconfig” and press enter. 2. Select the “Selective Startup” radio button. Unmark “Load Startup Items” checkbox. 3. 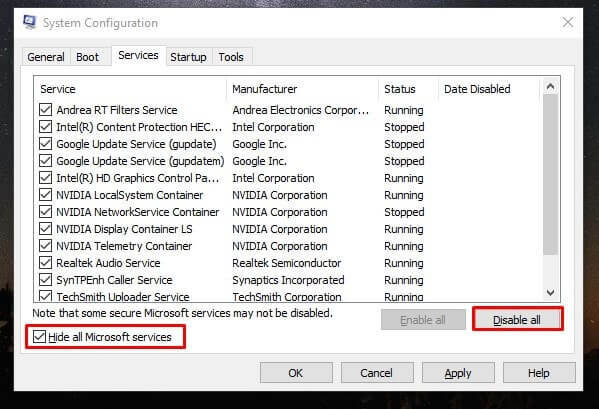 Click on Services Tab, and click on “Hide all Microsoft Services”. After that click on “Disable All”. 4. Now, go to the startup tab, and click on “Open Task Manager”. 5. 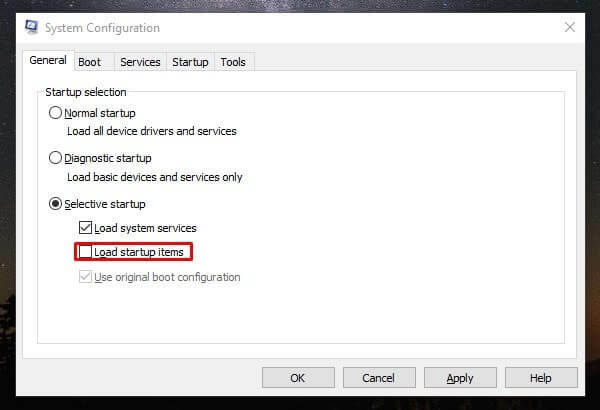 Here, you need to disable all enabled startup item. By doing Right Click on each. 6. After that, go to the system configuration window. Click on Apply then OK. That’s it. restart system now, and hopefully error will get resolved. 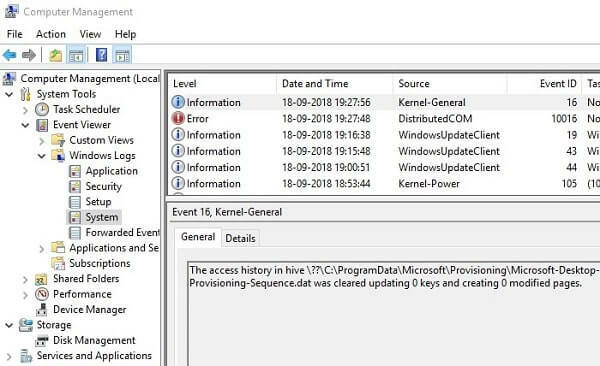 Solution 10: Check Error log using event viewer. Using the event viewer, you can find out, which device and driver are triggering this error. And, after pinpointing the cause, you can fix kernel security check failure error. 1. Click on start button, and search for “Administrative Tools”. And, press Enter to open it. 3. Expand “Event Viewer” and after that expand “Windows Logs”. If you’re unable to understand the error cause from event viewer. Feel free to Comment. 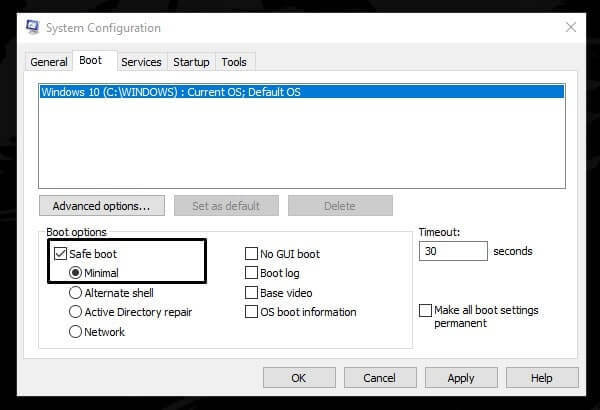 So, these are the solutions, which you can try to fix “Kernel Security Check Failure Windows 10” error. First, you need to figure out the issue is with hardware or software. 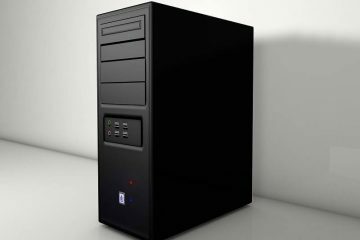 If you haven’t upgraded any hardware then you can try these software related solutions. And, if nothing works. Then, I suggest you restore Windows if you have already created a backup point. If you haven’t created a backup then you can reset Windows. Only, if you can access Windows. If not, then create a bootable media and reinstall Windows. Don’t forget to create a backup of important data using safe mode. Previous ArticleWolowTube Alternative – To Watch Free Movies & TV Shows Online. 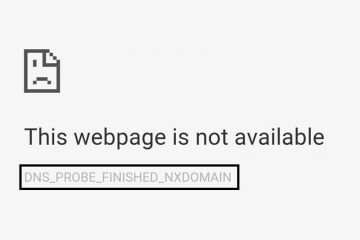 Next ArticleERR_CONNECTION_RESET Chrome Error (SOLVED) Working Solutions. 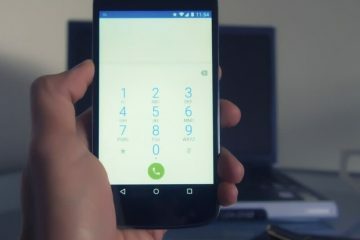 Easiest ways to fix com.android.phone has stopped.